Niki Jabbour - The Year Round Veggie Gardener: Wednesday Blooms! And another by the same friend. An electric red. LOVE this! 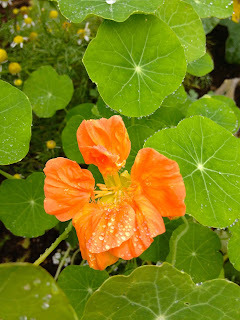 them everywhere in the veggie garden. I love your new banner! 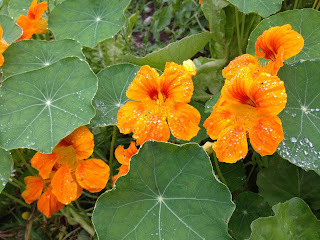 I planted few trombetta squash too this spring and I love the buttery taste. Thanks!! I have a new type of Lebanese zucchini coming along too.. The biggest plant has about 8 fruits that are 2 inches long.. it's been tough with the rain in regards to pollination. 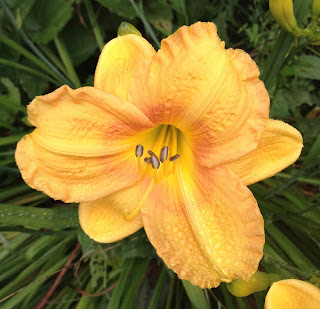 Many of the female flowers don't get pollinated and the tiny fruits fall off. Today is sunshine, bring it on!! ha ha!! Clearly, I had no idea!! :) It's summer and every day is blending into each other. thanks for the reality check.. I guess I have an extra day until the weekend! Hubby Peter and I live next door in New Brunswick, about 25 minutes west of Fredericton. 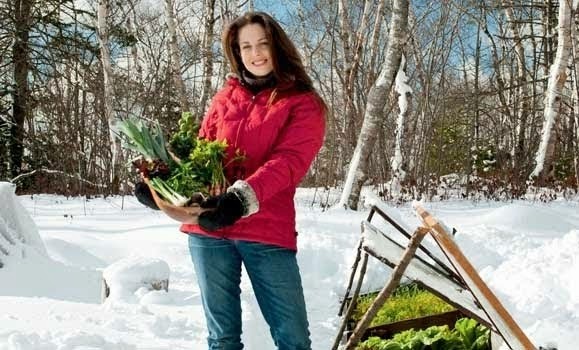 We bought your Year Round Vegetable Gardener book when it was first published, and have had great luck with many of your season-extending ideas, although we are taking it slow "transforming" our garden. The first spring, as we didn't have any cold frames, we utilized our portable "pepper houses" (glass sided/glass topped boxes we have used for years for growing peppers) to start some lettuce, pak choi, Swiss chard and spinach in I believe April. Wow! we had more veggies than we knew what to do with by the end of May/early June (before your book, we never harvested anything until late June, except maybe radishes). We did some late summer planting as well, but as we were away for late September and most of October, we weren't around to take advantage of row covers, etc. 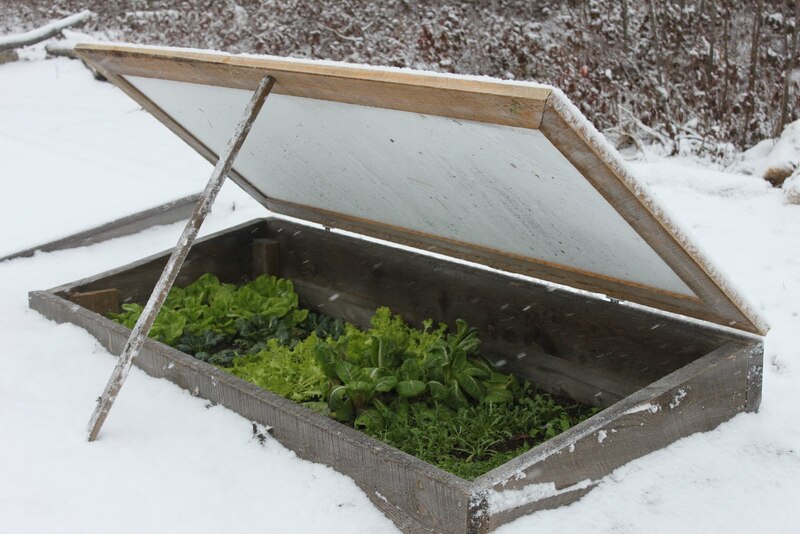 Mind you, Peter was able to build one cold frame that we planted before we went away and we harvested our last lettuce on December 8th! Plus the spinach overwintered and we had one or two pickings in March. Nobody believed us until we showed them the photos. Hi Debbie! 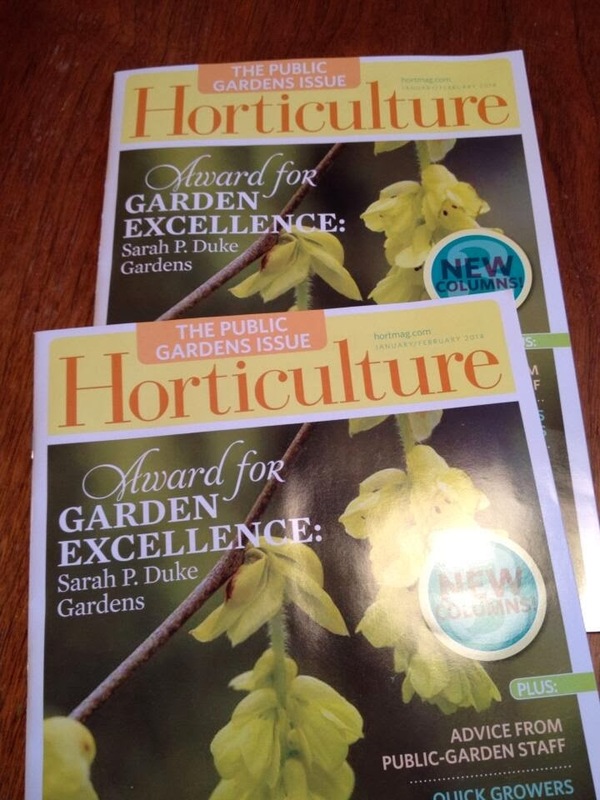 Wow, I'm so happy to hear about your success w/year round gardening! I'd love to see photos - nikijabbour@hotmail.com if you have any to share. I usually fill our pathways between the garden beds w/straw or shredded leaves. The extra materials go around the tomatoes/potatoes. In fall, I just move all the mulch into the garden beds and dig it under like your hubby! :) I also love swiss chard - My fave way (or spinach) is to saute for a few min with some finely chopped onion and a handful of pinenuts. Add some feta and spread over a homemade pizza crust. Bake and enjoy.. so good! 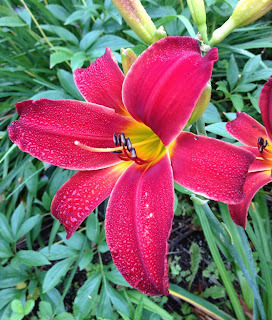 Sorry Niki I don't have names for either of those daylilies. 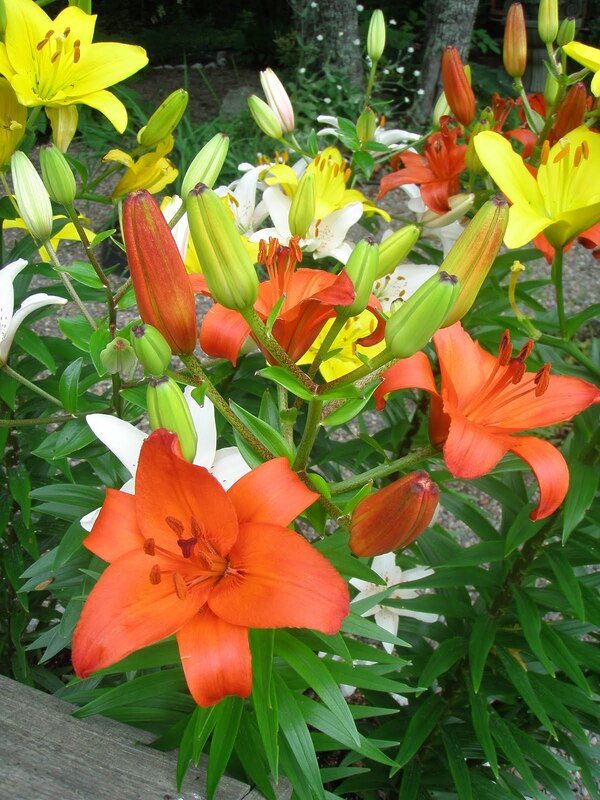 There is a long story as to why a lot of my day lilies are unnamed. Too long for a blog. Those are two lovelies though. Still have a house full of family. Busy busy busy! Oops forgot to tell you I found your podcasts. Not an easy task. So I have been getting caught up on the Sundays I've missed.